Lewis Hamilton edged closer to a fifth world championship after he extended his lead to the top by 50 points. Going into the Russian Grand Prix, 40 points ahead of Sebastian Vettel, Hamilton’s pole position on Sunday took him to 306 points in the championship standings. Team-mate Valtteri Bottas came second after recording the fastest lap of the race with Vettel occupying third place. Despite cementing his position at the top of the rankings, the win was a strange one for Hamilton. Coming second with Vettel close behind him, always threatening to overtake, the Mercedes team decided to issue a dictate to Bottas who was in the lead. Issuing a team order to Bottas, Mercedes asked the driver who was coming first to make way for Hamilton, allowing him to move into the first position. Mercedes’ decision was an extremely harsh one for Bottas. Not only was Bottas dominating the race but was also in complete control, with a first win of the season for him looming on the horizon. Leading after holding off Hamilton and Vettel on the opening lap drag race to turn two, Bottas was asked in lap 23 by race engineer Tony Ross to let Hamilton past him by turn 13 of the lap. Mercedes had decided to go ahead with this move after an earlier error in strategy by them had seen Hamilton move behind Vettel after being called in for a change of tyres. Despite overtaking Vettel again eventually, Hamilton flat spotted his rear tyre, which Mercedes feared could see him end the race behind Vettel. “Lewis is fighting for the championship and I am not so from the team’s point of view it was the ideal result, but maybe not ideal for me,” Bottas said. “It doesn’t feel great,” Hamilton said. “I definitely don’t think I have finished first in my career and feel the way that I do right now. “Only time will tell if it was necessary, but if we were to lose the championship by one point, would you look back at this race and think we should have worked as a team? 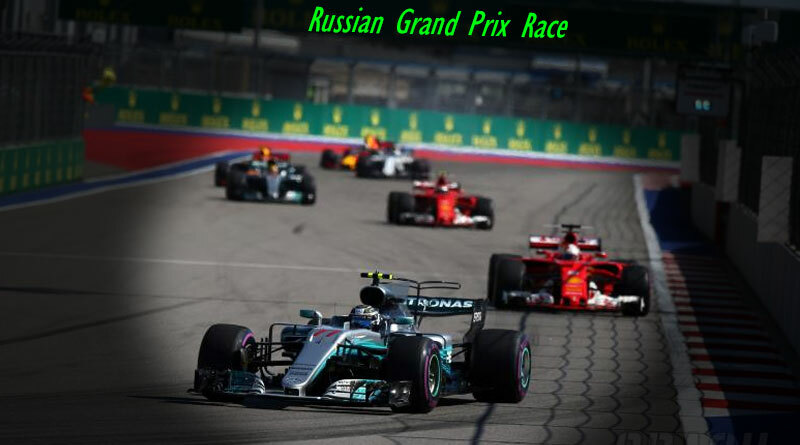 Do you think we missed anything from the Russian Grand Prix race highlights? We welcome your feedback. Success of Friends – Why is Friends tv serial so popular?